What is the true path to happiness for the whole world? 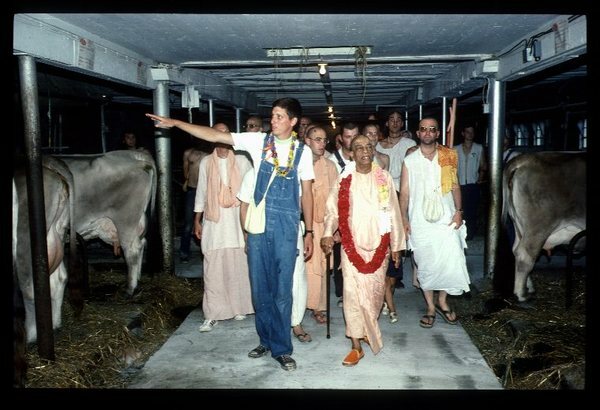 His Divine Grace A.C. Bhaktivedanta Swami Prabhupada, founder of the International Society for Krishna Consciousness (the Hare Krishna Movement), has said that the happiness of mankind is directly connected to the happiness of the cows. He stated "Because the poor animals are always in anxiety, humanity is also put in anxiety by different strains of hot and cold wars." These simple, gentle creatures eat only grass and produce nutritious satisfying milk, like a gift from God to the world. 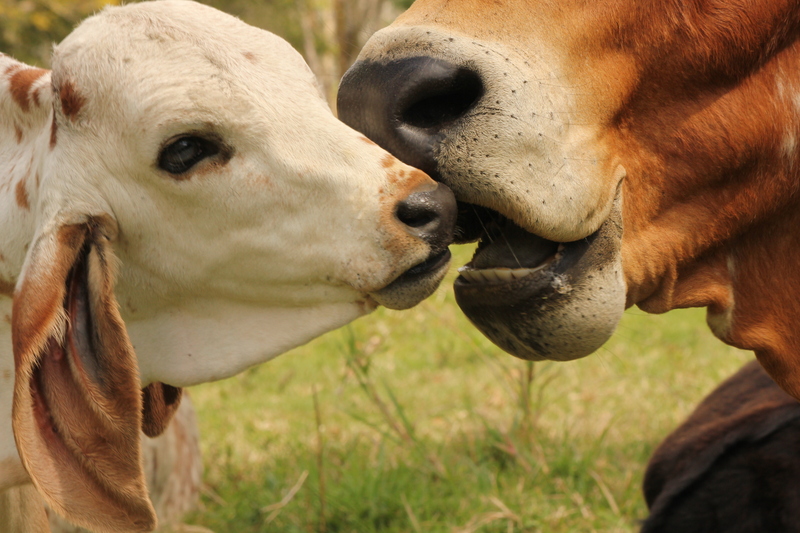 Out of love for the world herself the cow produces more milk than her calf can drink. Even her stool and urine have unlimited agricultural and medicinal uses. We also learn from the saints and sages that she is dear to God Himself. At New Govardhana, our mission is to show the spiritual and material benefits that result from protecting and caring for the cows. 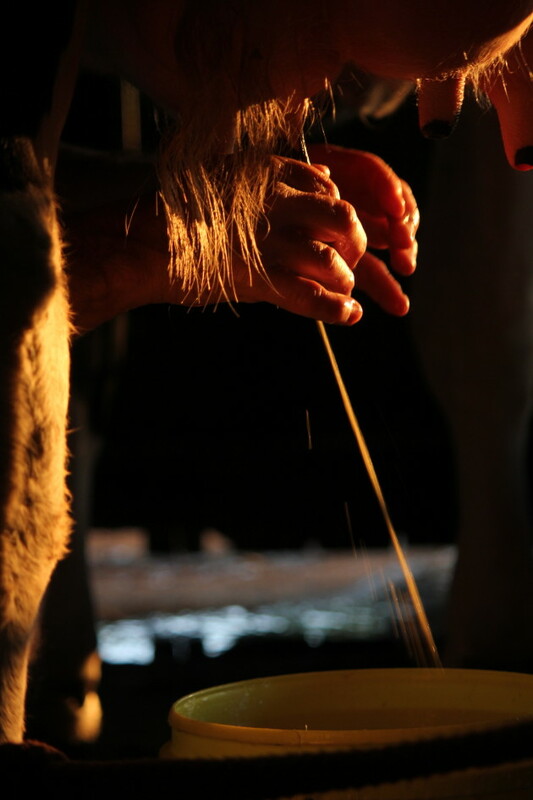 To do this, we want to make New Govardhana a place in the world where everyone can see this demonstrated practically. A place where anyone, regardless of religious persuasion, can experience the peace and satisfaction that comes from personally caring for cows – our mothers who have been sustaining us with milk since we were small children. Is there anyone who can say that they have not been nourished throughout their life by that ambrosial elixir called milk? And practically demonstrating our gratitude to her, not only will we receive her blessings, but God himself will smile upon us in appreciation. Of this there is no doubt. The cow is described in the Veda as one of our mothers. 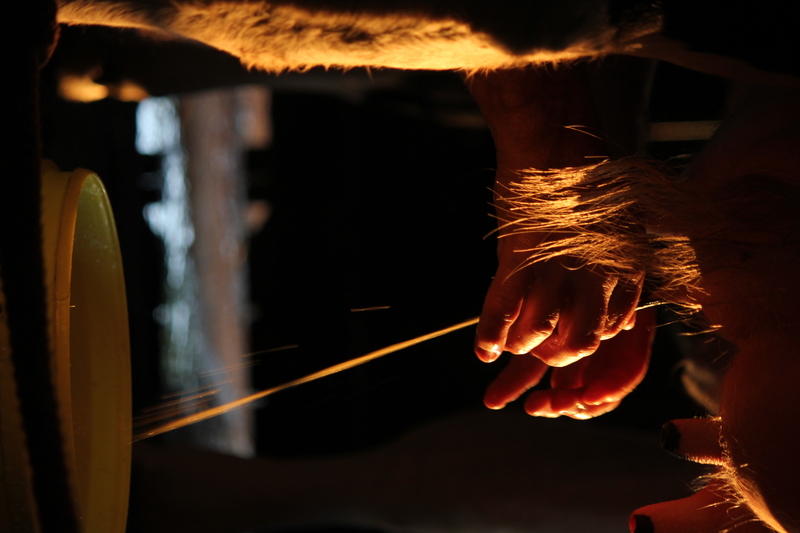 Giving us milk, she nurtures our mind and body. The bull is described in the Veda as one of our fathers working within the social structure. He produces grains and other eatables in the field. He also transports goods from here to there. One should serve the cow with the same attitude that the Supreme Personality of Godhead, Lord Sri Krsna, serves the cows in Vrndavana. The Srimad-Bhagavatam describes in detail how Lord Krsna takes the cows and calves every morning to graze on the pastures of Govardhana Hill. All the demigods and demigoddesses reside in the body of a cow. As such, the body of a cow is divine and holy. Lord Krsna, the Supreme Personality of Godhead Himself, gave more importance to the worship of cows than to the worship of Indra, the king of the demigods. Therefore in India millions of Vedic followers worship Mother Cow at least once a year on Govardhana Puja day. One should see the cow as a mother and the bull as a father, deserving veneration and love. It is the duty of everyone and especially the leaders of society, to give protection to cows and bulls. To the best of their knowledge and ability New Govardhana residents strive to serve, worship and protect cows and bulls. We remain determined in our resolution to provide the best of care for and appreciation of Krsnas’ cows. The cows, bulls and bullocks on New Govardhana farm form an integral part of New Govardhana community and always remain the property of their Lordships Sri Sri Radha-Govardhanadhari. The mission of New Govardhana Goshala is to serve, worship and protect Lord Krsna’s cows. We shall also strive to educate others in the principles of cow protection. According to facilities available to us, we shall endeavour to continuously improve our varied services for the cows. To maintain healthy cows, bulls and bullocks. To keep them free from discomfort and danger. To provide Their Lordships Sri Sri Radha Govardhanadhari with milk products. To train and work bullocks in the service of Their Lordships. To see the cows and bullocks as Krsna's pets and as being very dear to Him, and to act accordingly. To worship and care for cows in accordance with Vedic guidelines. Projects undertaken have included excavation of new dams and causeways so the cows have ample water and easy access during flooding. We have constructed fourteen kilometers of top grade fencing, essential for pasture improvement and herd maintenance. We have purchased a new tractor, and have erected a barn to give shelter to the cows during inclement weather. 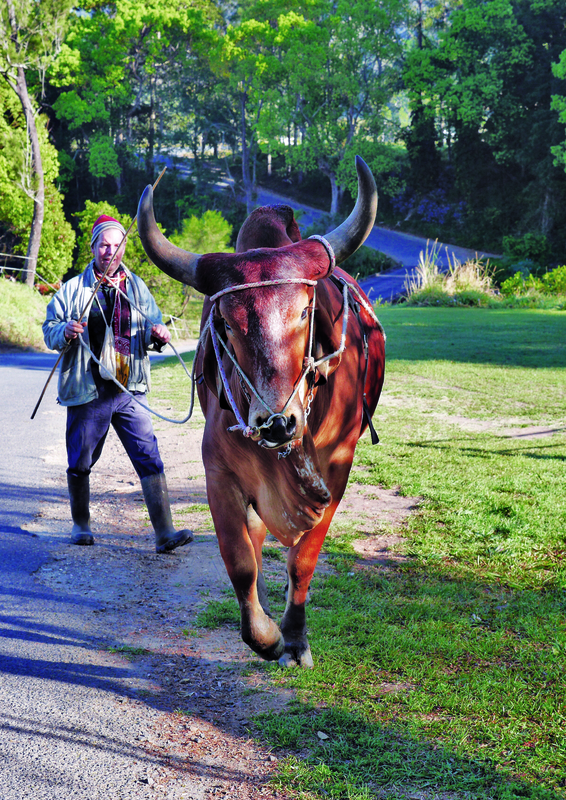 We are establishing a walking trail for the public to come and see the cows happy in their habitat. We have beautified this environment with newly planted gardens as well as hundreds of fruit trees. Veterinarian care, feed, equipment, supplemental minerals and medicine are also significant expenses in the care of the cows. We also provide for those who care for the cows full time. 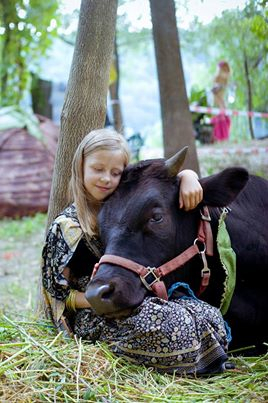 Would you like to experience the happiness that comes from showing affection to Krishna's own cows? Consider this a personal invitation. We would like to announce the inauguration of our New Govardhana Adopt a Cow program. It's a chance to get up close and personal with these beautiful and divine creatures by personally contributing to their care. 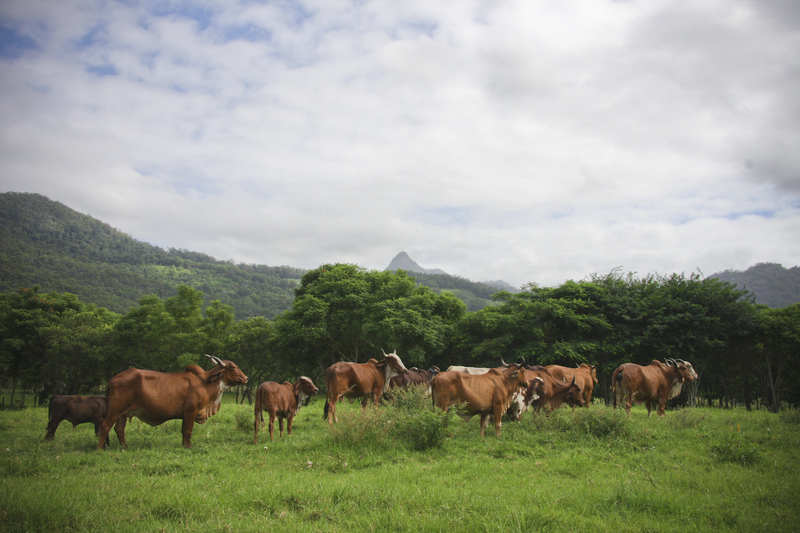 For $35 a month, you can join with the New Govardhana family in taking care of the cows. 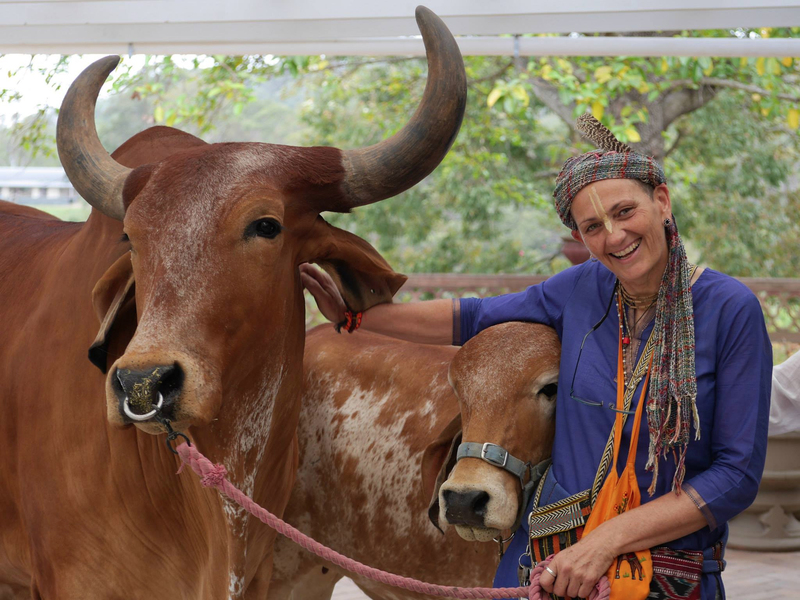 Besides all the happiness you will feel by looking after Krishna's cows, you will also receive a photo and an adoption certificate suitable for framing. This will proclaim to the world your gratitude and love of the cows and explain that smile on your face. You will also receive periodic updates on how your cow is doing as well as milk sweets made from the milk of your cow. Also, if you are able to come and visit, we will arrange a personal introduction. When you use the button below you will be taken to PayPal, where you can choose a one-off donation or you can set up regular payments.